Fall. I can’t argue with that. I’ve gotten tired of the summer heat and not ready for the cold. Oh my gosh, I’m winter! Spring, huh? hmm…….ok. Suits me. I adore Spring!! Everything new n fragrant! Although I love the snow and winter, the guess was wrong I was born in June, so I was a summer baby. I am Fall but born in the Spring! I am anywhere between spring/summer. Route 66 and yes I was born in the fall and everything else local weather channel got it right. Right on. Spring is my favorite season, but I love them all. Life is just to short to find fault with any one of natures seasons. Winter is correct, I was born January 15th! Personality description is very much me! I love being indoors baking for my family when it is freezing cold outside! Winter…yes, I was born in March. I love the description of personality. It’s how I like to see myself but it takes effort. Thanks. I love the cooler months like fall and winter!!!!!!! I got winter!! I love the snow!! I got winter which is my least favorite season, so it’s interesting that’s what I would be if I WERE a season, LOL. These quizzes are fun, I need to take more when I have more time. I got winter, pretty accurate. I knew mine would be Winter! Winter pretty much describes me to a tee. I was born and raised in the Northeast, still live there to this day, and I don’t see relocating to the South or Southwest in my future. High dew points and I don’t get along very well, so if I was to relocate, the Pacific Northwest looks pretty good. I don’t mind bundling up to take the dog for a walk when it’s snowing, and I love how the landscape looks with fresh snow. I’m summer but I prefer fall the cool crisp leaves, pumpkins, harvesting, corn mazes. The heat of summer kills me, but it does describe my personality. Winter is awful and cold but needed. Spring is beautiful and abundance of life, when the sun returns and nature wakes is wonderful. Fall is right for me! Yay winter!! Right on the spot! Summer is sooo fun it is what best describes me. I am a fall guy!! You guys hit the nail on the head with that one!! They were spot on about my personality on summer and that is my favorite season well done! I have always been more of a winter person. I do not like the cold, but I live for snow! I’m spring also, but still don’t understand how pizza fits in with that..? i love summer, but in San Antonio I also love spring and the short fall. I’m SPRING! I would have to say that’s just about as accurate as it comes… I love all 4 seasons, but winter is my least favorite… And all of the other things it says is also just like me! They gave me fall. I think I am a winter person, but I wanted to see what the test thought. 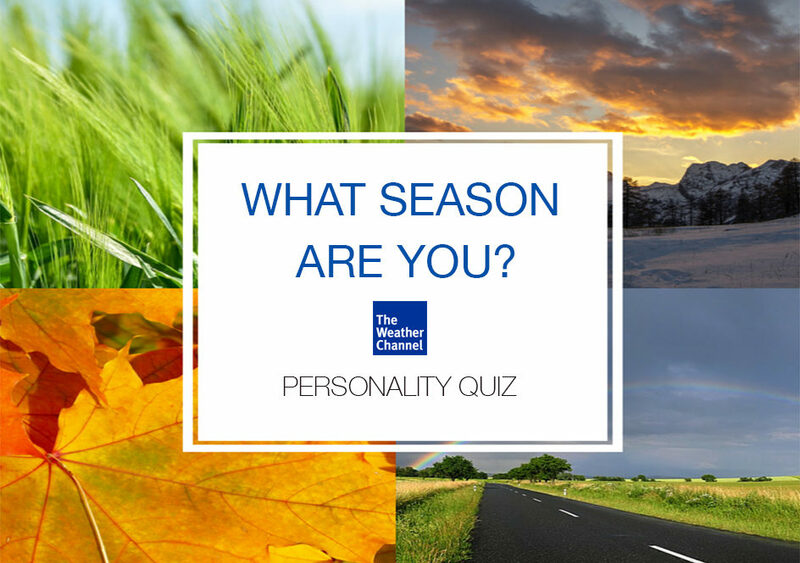 It gave some accurate personality test results, but gave the wrong season. I live for snow, even though I happen to live in Phoenix.